Today I become the senior pastor of a new congregation/Chapel here in Hawaii. Blessed to see it grow from 15 to 66 in two months. The command chaplain (Colonel) for the post was going to shut it down, but God sent me to plow. Expecting 100 today and so much more as we launch a new theme for all the Army Installations in April. 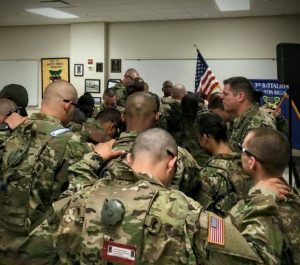 This is a huge project – eventually every US Army base will use our template to grow a congregation like ours. Talk about church planting in the Army! I’m bringing in the Deputy Chief of Chaplains (Brigadier General Solhjem – a Baptist) at the Pentagon, and the installation Chaplain at Fort Campbell, KY (Colonel Murphy, another Baptist) and some other heavy hitters in the Chaplain Corps to preach a revival and to help launch it. The theme is IMPACT. God making an impact in us so that we can IMPACT our community and the world. The last time a [US Army] Chapel theme was launched was 1999. The theme was “Chapel Next,” taking the “next step.” Chapel Next is still around at most every Army Installation, but IMPACT Chapel will be the new theme encouraging a deeper relationship with God, a deeper dive into Scripture, and a deeper concentration on Service. 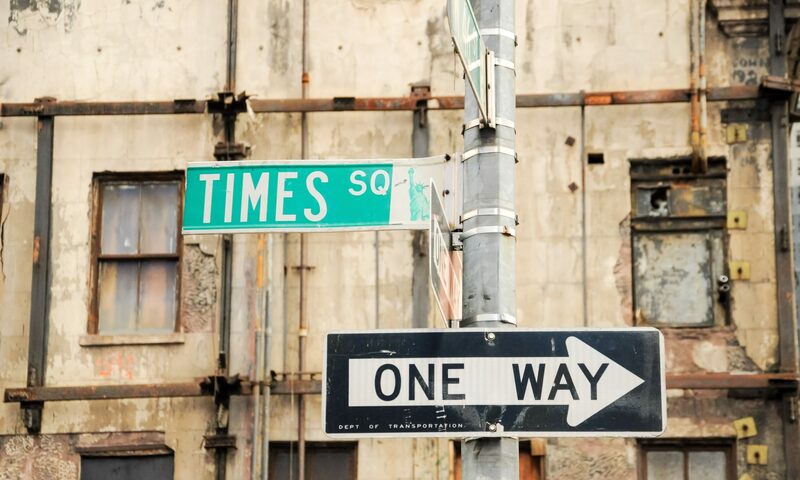 Time is short, and it’s time to get off the pews and make an IMPACT. I can’t tell you how big this may be as God gets behind our prayers to work by, with, and through us to IMPACT the Army. I’m super excited and humbled to have this opportunity. Please tell CBAmerica that I need them now more than ever, because Satan certainly wants to keep our IMPACT minimal. But…greater is He who in in us…. 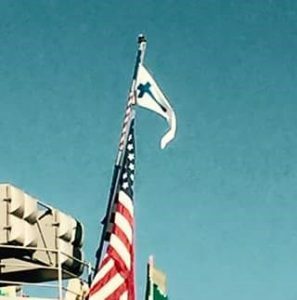 By Chaplain Aaron Carlton, US Navy – afloat, as reported to Andy Meverden, Director of Chaplaincy. The location and ministry of military chaplains are often shrouded in secrecy. As a result, I am sometimes surprised by their location and ministry activity. 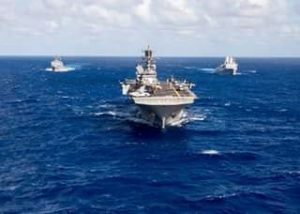 From somewhere in the Pacific Ocean, I received a ministry report from Navy Chaplain Aaron Carlton, assigned to a large amphibious task force steaming to a volatile part of the world. 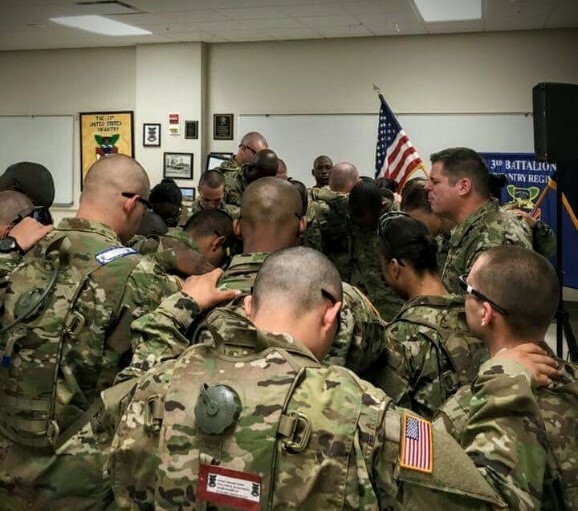 “One of the great blessings that I am thankful for as we start our deployment is the quality of fellow chaplains we have on board. We all seem to get along well and I think each is open to listening to each other and truly doing the best. Also, we are all open to personal growth and accountability. This is not as common in the chaplaincy as one would hope. So this is a blessing. Please pray for: My family (wife, Lily and 3 young daughters, Mayah, Noelle & Sophia) and their emotional and spiritual health during this time. The safety and protection of all the Sailors and Marines on board the 3-ship group. Especially as we will be in the Middle East during a season of political change at home and international turmoil abroad. I asked Chaplain Carlton to tell me about the ship’s “Evening Prayer.” The evening prayer over the ship’s intercom is one of the enduring US Naval traditions. It is also one that is still being fought against, by anti-religion groups like the Freedom From Religion Foundation. “Good evening, friends. This is Chaplain Carlton. Think of the wisest person you know. I would venture to guess that they are also the most humble. If we would aspire to greater wisdom in our work, in relationships, in life, one of the best ways to get there is to pursue genuine humility. Genuine humility listens to others’ perspectives and treats each person with elevated dignity and respect. Instead of just looking at another’s flaws, we become honest and aware of our own shortcomings. Instead of demanding respect, we earn it by showing it to others. “Living God, help us to take nothing for granted. Each day we are here is an opportunity to use our time wisely and to make a difference. Each moment is a chance for us to improve our souls, to right our wrongs, and to make the world a better place by exerting our influence. Photo Caption: Chaplain Aaron Carlton on the far right with Aviation Supply Officer, in blue. Aviation Maintenance Division Officer in white. 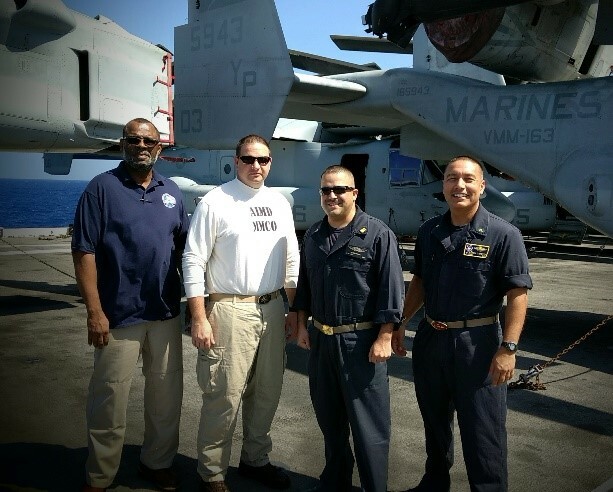 And a supply tech rep… we’re all on the flight deck somewhere in the south pacific. On March 13, 2014, President Obama signed a Presidential Memorandum directing the Department of Labor to update and modernize the regulations defining which white collar workers are protected by the FLSA’s minimum wage and overtime standards. 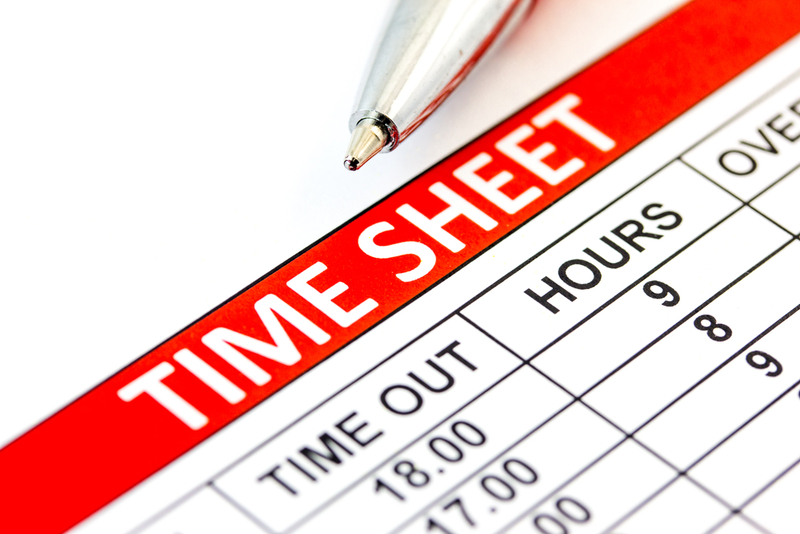 The result of that update was the Overtime Final Rule which was set to go into place December 1, 2016. This ruling, if implemented has a profound impact on non-profits, churches, and other religious ministries. On Tuesday, November 22 a federal judge yesterday issued a nationwide temporary injunction halting the implementation of a new overtime pay rule scheduled to go into effect. One of the means of Gospel impact that was heretofore unavailable to all but the larger churches is the ability to broadcast live video of your services. Internet technology is currently available to break through the barriers of expense and equipment know-how for even the most remote location and church size to have a larger footprint in their community and beyond. Live Streaming CDN is one such service that would love to help you explore the possibility of implementing the live streaming of your services, and they have a special offer for your church. You can check it out at this link https://www.livestreamingcdn.com/churchspecial/. 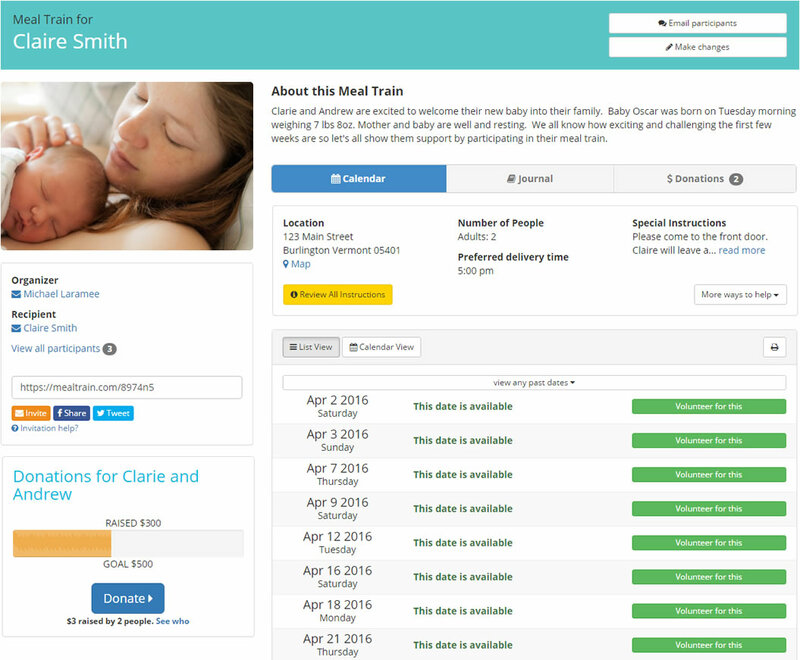 Meal Train is a tool to use to organize meals for a friend after a birth, surgery or illness. When a friend is in need, everyone asks “What can I do to help?” The answer is always to make a meal. When many friends make and deliver a meal, this is a meal train. 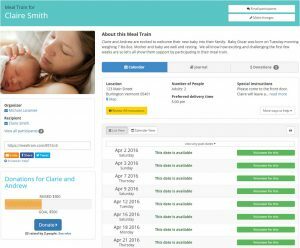 This website helps eliminate confusion and increase support. A shared Meal Train calendar and meal instructions answer questions in advance like, What do they like? When are they available? What have they already had? Are there any allergies? and When should I drop off a meal? By setting it all up on a website, people in the church and community can get involved. This is where the church can minister to people in and outside of their congregation. When there is a need, the church can set up a meal train for that person and then let others know how they can help. People from the church then sign up to help and they can also share the website with their friends. The original family may start getting help from people they don’t even know. We all know it’s important to start saving for retirement. But 40 million working-age households – nearly 50% – do not have any retirement savings. CB America has partnered with GuideStone Financial Resources to provide a new retirement option. The retirement plan is offered through the Northwest Conservative Baptist Association. Set up your CB America retirement plan today. Establishing your retirement plan is simple. There are no costs to the CBAmerica church/ministry for participation and no required minimum contributions. Ministers and non-ministerial employees who receive W-2 income from a participating CBAmerica church/ministry are eligible. There are no costs to the church/ministry for participation and no required minimum contributions. Financially prepare employees for the future. Implementing an CBAmerica retirement plan will help your employees prepare for retirement. Once it’s established by the church, your employees will have the retirement plan they need to help them along their savings journey. Sign up for their retirement plan. Start contributing what they can financially afford. Increase their contributions regularly (aim for a 15% savings goal). Focus on reaching their long-term goals. “The growth of our team. I am the Chief of Chaplain Service, so my great joy is in providing leadership to our service line. In June we had our second annual spiritual life retreat at a Catholic retreat center – it was a tremendous blessing to us all. The Chaplain Service continues to grow; we now have eight staff chaplains and thirteen CPE (Clinical Pastoral Education) students, including a Supervisory Education Student (a Clinical Pastoral Education (CPE) instructor in training). My emphasis is on team and spiritual unity, so we meet daily for prayer as we begin the day. This emphasis on prayer has brought a great sense of teamwork and spiritual vitality to our team, enabling us to endure many difficult life events (death of a daughter, serious health and family issues, wayward children, birth of a special needs child). I view the staff support provided as the essential factor in high team functioning. The team is composed of two Catholic Priests, two Presbyterian women chaplains, a Church of God in Christ chaplain, an Assembly of God former Navy chaplain, and a CB/Calvary Chapel Supervisor. (This is the nature of pluralistic ministry in an institutional setting.) All truly love the Lord and enjoy serving Christ together. We may have doctrinal differences, but deep love and respect for each other. 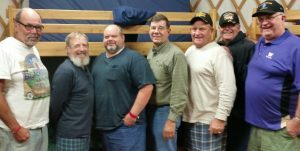 This past September 9-11, Gary (far right in purple shirt) again facilitated a seminar at the CBNW Men’s Round Up on the topic of Moral Injury and Healing. After a well-attended session last year, incorporating the testimony of a Vietnam Veteran, who had been suffering from the debilitating impact of moral injury, Gary invited two Vietnam Vets who had found forgiveness and healing of their soul through Christ. 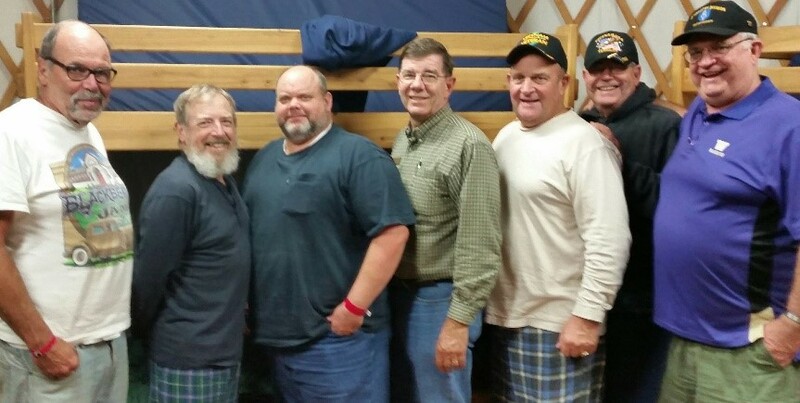 (See group photos of chaplains and Veterans – can you distinguish between them!). Over 50 men, many Veterans and those ministering to Veterans in their churches and communities attended and lingered after with questions. One might ask: “How do you quantify the ministry impact of chaplains like Gary?” Gary summarized this six-month ministry period thus: Worship Services: 12, Bible Studies: 4, Small Groups: 36, One-on One Visits: 150, Rededications: 1!! It’s clear from his summary, Gary is a “player-coach,” actively and effectively involved in direct ministry on top of his supervisory duties. 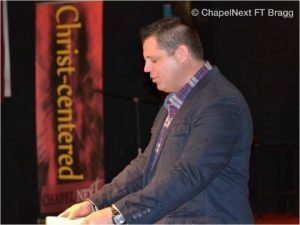 Pray for Gary and the other 175 CBAmerica chaplains serving in Federal and Civilian settings across America; on military bases, VA hospitals, and Prisons; as well as medical centers, hospitals, hospices, and with first responders (police, fire, EMS), rescue missions, Veterans, Motor Sports, and Wounded Warriors. Pray that men and women will find forgiveness and spiritual healing of their souls in Christ. 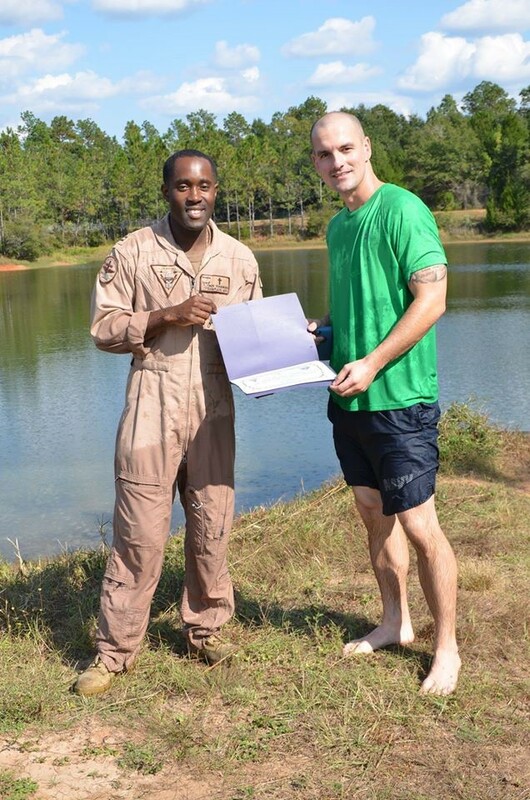 “Naval Health Clinic Whiting Field’s PO2 Lovin desired to publically display his faith in Jesus via Baptism. Upon discovering the Base Pool was drained for the season, he said ‘no problem, no reason why the Base Pond won’t do!’ So it was in the cool waters of this sun and Son shining day that the faithful display of his obedience to Christ was seen by those that celebrated with him! It’s a tremendous joy to see and serve our Sailors as they excel personally and professionally! Lord, may our Brother and Sailor enjoy Your grace richly each day You purpose him for Your Glory! Amen! Beneath the surface relationships are increasing! I have the honor of serving about 3,400 folks but yet; with this quarter representing year one done, I’m humbled to actually get to know and be known by folks significantly deeper. I fretted that upon arriving…’how can I get deep with sooo many to serve’ and yet, it’s happening via Spirit led deckplate* ministry! It’s crazy exciting! 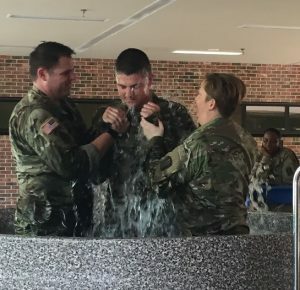 Chaplain Fondren reported the following ministry results during this last quarter: Worship Services: 3, Bible Studies: 2, Crisis Interventions: 3, First-time Decisions: 14, Rededications: 6, Baptisms: 1! Rejoice with Chaplain Fondren over the new names written down in the Lamb’s Book of Life! And rejoice over the several hundred professions of faith and baptisms witnessed by our CBAmerica chaplains thus far in 2016. 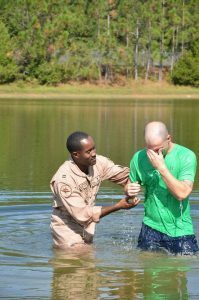 For more stories of God’s amazing work in and through our CBAmerica chaplains, go to www.cbamerica.org/category/chaplaincy. For information on endorsement for chaplaincy, contact Andy Meverden, Director of Chaplaincy at chapandy@cbamerica.org. 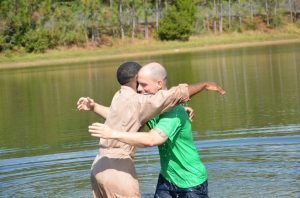 Outnumbered: Chaplains Team Up to Baptize 115! In March and April I was afforded the opportunity to cover down (military term for “fill in”) for Chaplain (Captain) Sarah Tarpley Vesselee (www.facebook.com/sdtarpley?fref=ts), battalion chaplain for the 3-13 Infantry Battalion (BCT) at Fort Jackson, South Carolina. The 3-13 IN is a basic combat training battalion (BCT). This was my first opportunity to minister in a Basic Training Battalion – something I always wanted to do. 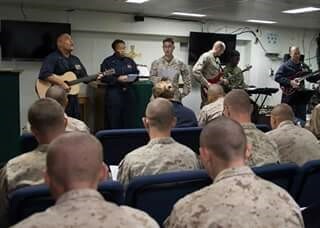 For the first service in March, it was WEEK 1 for the Soldiers and over 200 attended the chapel service. No doubt that numerous Soldiers received the Gospel for the first time in their lives. So many came to Jesus that it was more than I could count. Realizing that I was outnumbered, I was able to solicit the help of Chaplain (Captain) Rick Pak and Family for the next two services. More Soldiers attended and many more professed Christ as Savior. For the last week, the services had grown by word of mouth. We needed more chairs in the battalion conference room to seat 250 Soldiers. And by this time, numerous Soldiers joined me in music, singing, and testimony of what God was doing! Watch the video, see and hear the good reports of God working among the Soldiers! They were very eager and enthusiastic to worship the Lord and testify of His goodness. 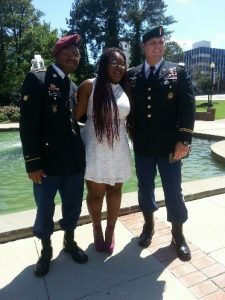 A female Soldier was in line visibly shaken. She cried, hugged me and asked me to pray for her. She said, “Chaplain, I’m a lesbian and I know it’s wrong. Please pray that God will forgive me and change me.” Wow! No doubt that the Lord had met with her that Sunday morning! 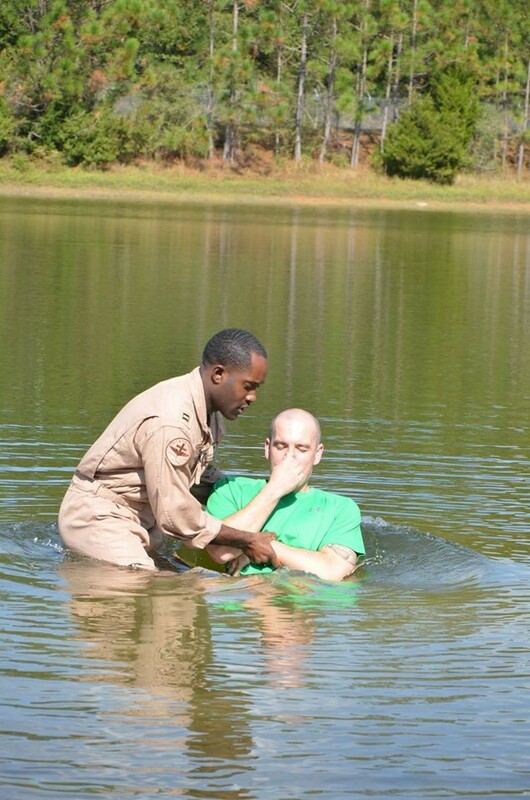 Knowing that so many had trusted Christ, I prepared a sign-up for baptism. 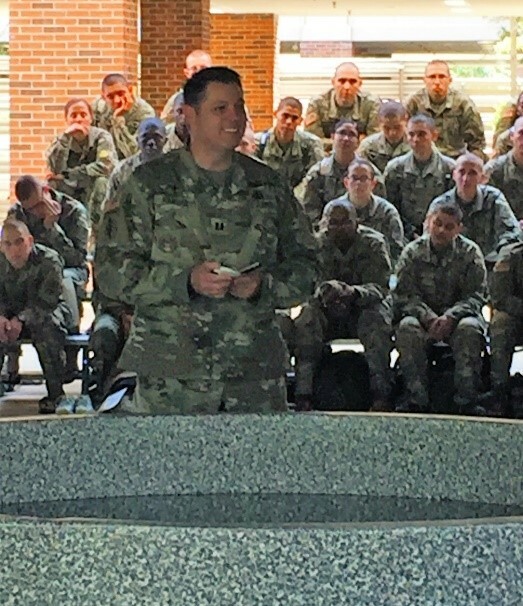 Over 100 Soldiers signed up, with many indicating that they wanted to speak with Chaplain Sarah for counseling. Each Soldier was also given a Bible and some had already started small group Bible studies! Chaplain Sarah returned and finished the services until graduation. She said that she never had so many professions of faith before, and that she was overwhelmed with counseling! A graduation Baptism was scheduled for Sunday, 3 April 2016, in the common area of the battalion. Drill Sergeants marched platoons of Soldiers to the mini-service with towels and shower shoes in hand! Chaplain Sarah’s assistant filled a round baptismal pool and staged audio equipment. We played and sang a few hymns and I preached a short sermon about the importance of biblical baptism. One by one, we baptized 115 Soldiers in the Name of the Father, Son, and Holy Spirit, and presented baptismal certificates. 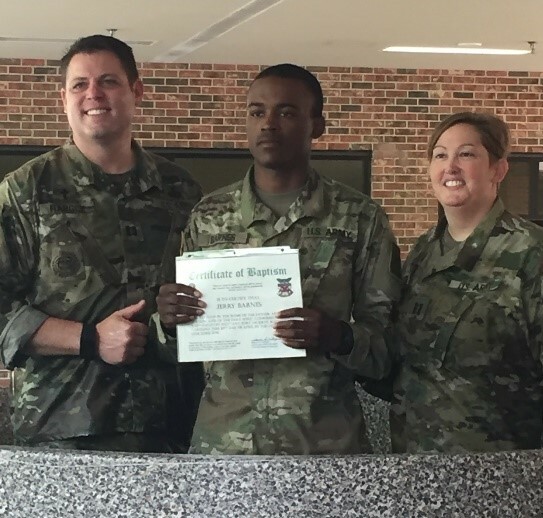 There were so many Soldiers that I didn’t even bother to count, but Chaplain Sarah said that they had printed 115 individual baptismal certificates for those that had signed up; and when we were finished, there were no certificates left. 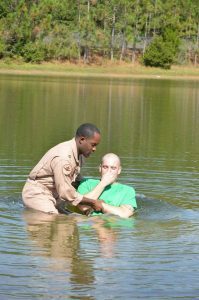 It was an amazing experience of receiving and celebrating new life in Christ! A female Drill Sergeant gave me her phone number for follow-up. She is a Christian seeking God’s will and is interested in becoming a chaplain. I was able to talk to her for several weeks following, and she is now in the process of becoming a Chaplain. Pray that churches and bookstores will purchase my book “Marriage is a Four-Letter Word.” One church used it for a Young Couples group, but I would love to see it picked up on a larger scale of use. Jordan Hargis (our 19-year-old son) is in the Ohio Army National Guard and works as an MP (Military Policeman). He was activated for the Republican National Convention in Cleveland. Although there were no riots, some shots were fired at the MPs. As a Father, I thank God for Jordan’s safety and trust God to protect him. Pray for a close relationship with my new Commander (LTC Miller) at Schofield Barracks, HI. I want to be used by God to be a blessing to him and his Squadron. Pray for God’s direction to the right chapel service for me, my Family, and the congregants. We like to be involved. Pray for my wife, Tracy, as she homeschools the boys – this will be our first full year of homeschool. If you are interested in reading more stories of God’s amazing work in and through our CBAmerica chaplains, go to www.cbamerica.org/category/chaplaincy. 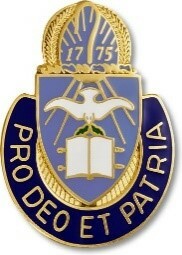 For information on endorsement for chaplaincy, contact Andy Meverden, Director of Chaplaincy at chapandy@cbamerica.org.